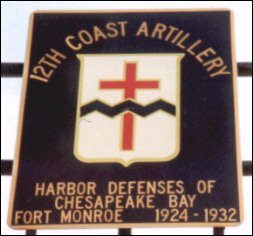 There were two searchlight positions on Fishermans Island, two on Smith Island, one near Fort Custis, one at the Cheapside Tower on the Eastern Shore, four at Fort Story, four along the Virginia Beach oceanfront, one at Oceanview in Norfolk, and three at Fort Monroe, and two at Fort Wool. 418 controlled mines were laid. Two lines across the main channel off Cape Henry, and two lines across the main channel near Thimble Shoals Lighthouse. 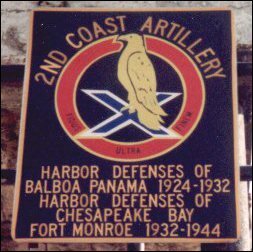 365 contact mines were laid by the Navy reaching from Cape Charles to the Army's line near Cape Henry. In addition, an anti-motor torpedo boat net was installed, connected at Willoughby Spit and the northern part of Old Point Comfort. The HECP at Fort Monroe controlled the gate to the net. A second net was intalled at the entrance to the York River. 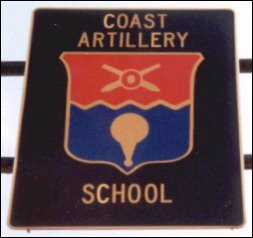 52nd Coast Artillery (Railway) "The Way to the Stars is not Easy"
I wish to thank the Director of the Old Coast Guard Station Museum for helping me make this website a reality. Potomac River Defenses for Washington D.C. Contributions of historical material and photographs are greatly appreciated! and we would like all to share in any new information that is gathered. until Yahoo! pulled the plug in October 2009. The following links are provided as a service to you, the reader, for your enjoyment. No endorsement or affiliation is implied or suggested.